You know Los Angeles has a river, right? But did you know it’s more than concrete and graffiti? On Sunday, April 18th, grab your camera, load up the kids and the dog (or a few friends), and car-caravan around the city checking out fab vistas of the L.A. River like Sepulveda Basin and the new parks in the Glendale Narrows (across from Griffith Park). NOTE: Advance sign-up required! This tour fills up quickly so don’t delay, Go-Go’ers! ‘Cause really, how often can you get wet and wild with cream puffs…? Meet at the L.A. River Center & Gardens (570 W Ave 26, near the 5 & 110 freeways) where carpools will be formed. $20 FoLAR members / $25 non-members. Nonprofits, students, and seniors contact FoLAR for member rate. Group rates are available. Contact Shelly at sbacklar@folar. org or 323.223.0585. Previous Post LATE BREAKING NEWS: NELA 2nd Saturday Art Night and LA Food trucks TONIGHT, 4/10! 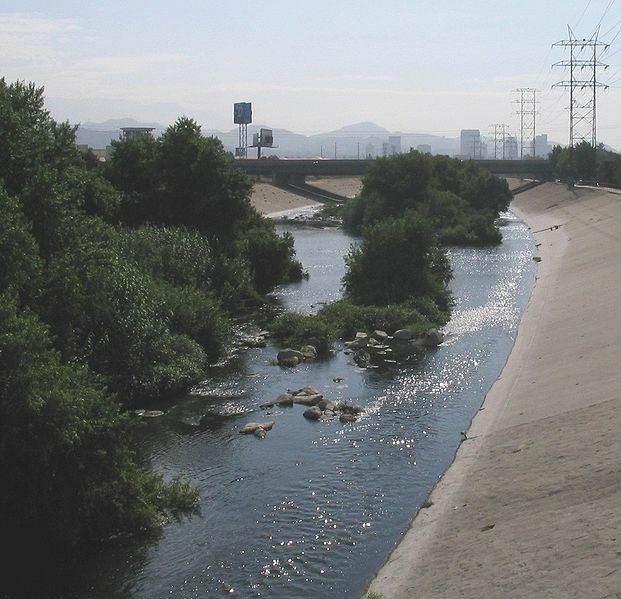 I grew up in a house situated on top of the “wash” of the L.A. River. My parents bought the house before there was a “wash” and the river actually overflowed one rainy year. I played in the weeds as a child down in the wash. Nowadays that’s probably illegal, not to mention dangerous for kids. But it was great fun at the time. Wish I had time to do this tour! When native Angelenos share their stories about growing up here, I’m always surprised by what a small town sensibility Los Angeles had not that long ago! Luckily, the Taco and Cream Puff tour has been quite successful, LJ, so I would bet they’ll be doing it again soon. Once more, here’s the e-mail for Shelly Backlar of FoLAR if you want to get on a mailing list for future tours. sbacklar@folar.org Have a great weekend and thanks for reading U Want 2 Go Go!